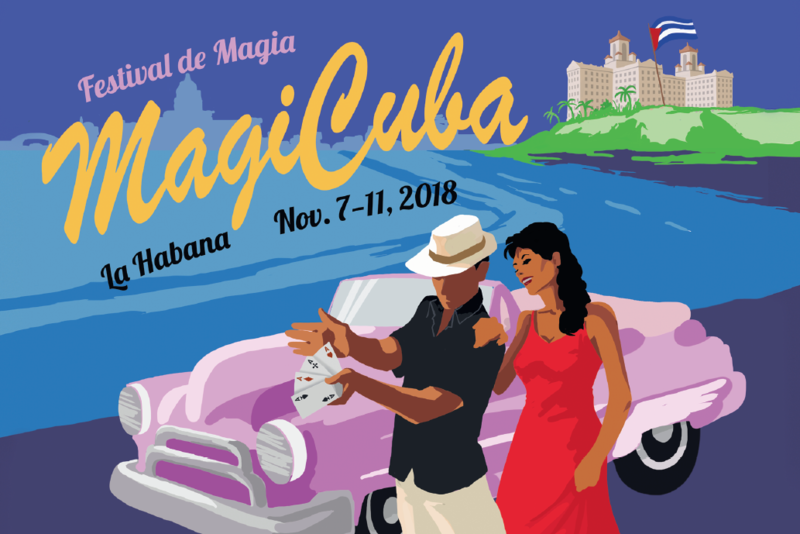 MagiCuba, The First International Festival and Conference of Magic in Havana, Cuba, November 7-11, 2018. During the Festival, hundreds of magicians and magic enthusiasts from around the world are expected to visit Havana to attend a Conference at the Hotel Nacional de Cuba dedicated to professional and amateurs devoted to the magical arts. Details about the conference and travel packages available can be found at www.magicuba.org. This is a chance to travel with your favorite magicians to one of the world’s most magical cities. MagiCuba will feature many top magical performers who will appear in Cuba for the very first time. Entertainers who have already agreed to appear include: John Archer, Jorge Blass, Mike Caveney, Michael Goudeau, Christopher Hart, Bill Herz, Jade, Mac King, Steve Kradolfer, Tina Lenert, Chad Long, Bob Sheets, Jon Stetson, Michael Weber and Asi Wind. A fully-refundable deposit will hold your place until May 7, 2018. And you can save $100 on the cost of your registration from now until February 1st. Non-Magicians are more than welcome and may register at a further discount to attend all the MagiCuba Festival & Conference performances and activities, with plenty of time to explore Havana. And numerous additional cultural tours and excursions are on offer. So MagiCuba is the safest and most fun way for anyone interested in Magic to travel to Cuba. Bring the whole family! MagiCuba is organized by international marketing group, Rose Marketing LLC led by its CEO, John Rose, together with Bill Herz of Magicorp and Master Mentalist Jon Stetson, under the authority of The Cuban Ministry of Culture and in partnership with the Cuban Association of Writers and Artists (UNEAC). US Citizens and residents are authorized to attend the MagiCuba conference under general license §515.567.